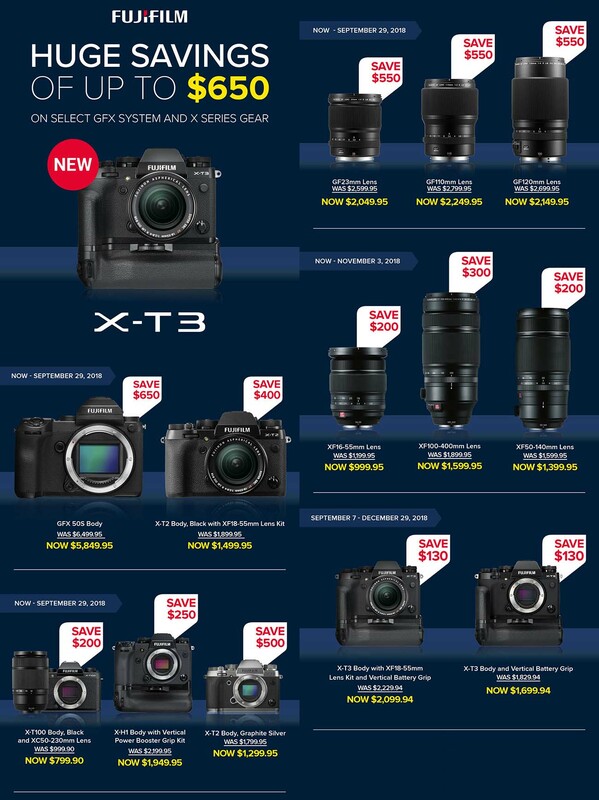 The Fujifilm GFX deals and some X deals are coming to an end today so don’t miss out. 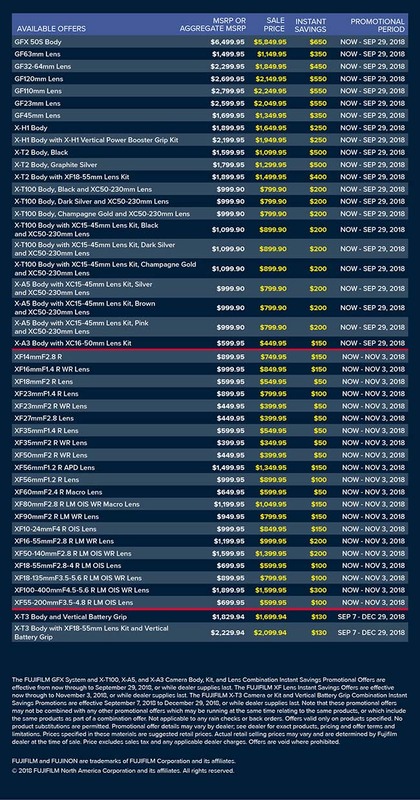 Also if you’re interested in the Fujifilm GFX lens line up you can go back and look the roadmap Fujifilm released to us all a few days ago. We also have all the details about the Fujifilm GFX100S that are available to the public at this time because I have documented everything in great detail. No need to look elsewhere since it’s all already been cover on FujiAddict. This entry was posted in Deals, Fujifilm GFX, Fujifilm GFX 50R, Fujifilm GFX 50S, Fujifilm X-T3 and tagged Fuji GFX, Fuji GFX 100M, Fuji GFX 100R, Fuji GFX 100S, Fuji GFX 50R, Fuji GFX 50S, Fuji GFX100M, Fuji GFX100R, Fuji GFX100S, Fuji GFX50R, Fuji GFX50S, Fuji Rumors, Fuji X-T3, Fuji XT3, Fujifilm, Fujifilm GFX 100M, Fujifilm GFX 100R, Fujifilm GFX 50R, Fujifilm GFX100M, Fujifilm GFX100R, Fujifilm GFX100S, Fujifilm GFX50R, Fujifilm GFX50S, Fujifilm Rumors, Fujifilm X-T3, Fujifilm XT3, FujifilmRumors, Fujirumors, GFX, GFX 100M, GFX 100R, GFX 100S, GFX 50R, GFX 50S, GFX100M, GFX100R, GFX100S, GFX50R, GFX50S, Medium Format, Super Full Frame. Bookmark the permalink. Trackbacks are closed, but you can post a comment.